Why Do Rear-End Bus Accidents Happen in Sarasota? Home » Blog » Why Do Rear-End Bus Accidents Happen in Sarasota? Rear-end accidents involving buses may be very dangerous for motorists in Sarasota, Bradenton, Venice, Englewood, Lakewood Ranch and Port Charlotte. Drivers and passengers in vehicles that are rear-ended by a bus will face significant risk of injury due to the large size of the commercial vehicle. When the bus is rear-ended by another motorist, bus passengers are also endangered, but motorists face the highest risks. 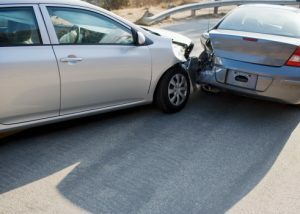 An experienced rear-end accident lawyer knows that bus drivers may rear-end vehicles in front of them for many reasons, including the fact that buses have a lot of momentum and can take a long time to stop. Since buses are such large objects on the road, it may seem hard to believe that a bus could be rear-ended by another vehicle. The reality, however, is that this happens all the time. The National Center for Transportation Research conducted a study of rear-end accidents involving buses in order to determine some of the factors that make it more likely a bus would be rear-ended. The National Center for Transportation Research found that 38.3 percent of bus collisions in its study period (2008 to 2012) were rear-end bus accidents. The highest number of rear-end collisions occurred in 2009, when 42.9 percent of bus crashes were rear-end accidents. The type of road and the location of the bus stop on the road. The majority of the rear-end accidents studied happened on six-lane divided state roads. There were more rear-end accidents involving buses on these roads than on either two- or four-lane local or state roads. A big part of the reason why is bus stop placement. On most six-lane roads with right turning lanes, near-side bus stops are not possible. This means that far-side stops or mid-block stops are more likely to exist. These types of stops increase the risk of rear-end bus crashes. Whether a bus stop is in a lane of traffic. When a bus stop is in a traffic lane, as opposed to a bus bay, it is much more likely that the bus will be rear-ended. The report described buses in mid-lane traffic stops as "sitting ducks" with nowhere to go when a motorist is behind and about to hit the vehicle. The speed limit of surrounding vehicles. The majority of the bus crashes happened when drivers were going 30 MPH. The research revealed that faster speeds for surrounding drivers increased the likelihood of a bus being rear-ended. The most common reasons for buses to be rear-ended were either failure to use due caution or failure to use due care. Driver distraction and alcohol or drug use were not as common in rear-end bus crashes as might be expected, with no driver distraction reported in 74.5 percent of the studied bus crashes and no drug use reported in 76.3 percent of the rear-end accidents. These numbers may be underestimated. The bottom line is, the location of the bus stop can have a big impact in when a bus is likely to be rear-ended. Roads need to be designed to protect bus passengers from injury due to bus stops that are in dangerous locations.